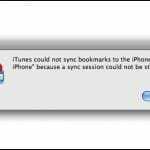 Some users have reported an issue in which iPhones fail to sync with iTunes 9.2. In these cases, your sync attempt results in the error message. “The iPhone (name) cannot be synced. A duplicate file name was specified.” This problem may be accompanied by duplication of music and other media files. As noted in our previous report on iTunes 9.2 syncing problems, appears that the presence of Ambrosia Software’ iToner software may cause problems with syncing. Navigate to ~/Library/iTunes/iTunes Plug-ins and/Library/iTunes/iTunes Plug-ins (the Library folders inside your user folder and at the root level of your startup drive) and look for a file called iTonerSupport.bundle. Remove it, then restart, and check to see if iPad syncing occurs more quickly. UPDATE: Several users have now reported that upgrading to iToner 2.0.6 resolves this issue. Turn off note syncing. In iTunes, navigate to the info tab and deselect the option to sync notes, then sync your iOS device. You may need to do this each time you sync. Deselecting “sync Books” solved the problem for me. HI, I merely wanted to say thanks with regards to doing this blog. I try to show up here once a week to read your posts. Keep up the great work. I am unable to sync my iphone4 with my windows7 laptop.It was running all rite few days back.I downloaded few torrent softwares and other softwares.I don’t know whether this is the case its not workin on my laptop or its somthng else bcoz it is working on other systems.pls help me….I tried uninstalling and reinstalling of itunes as well…. My i-pod will not sync…I have updated i-tunes 6 November 2010 and since then nothing will sync and all of my 27gb worth of music files will nto appear on the i-pod!! When trying to reload from library the message ‘the i-pod can not be synced. A duplicate file name was specified’ appears. On settings I am told that 27 GB has been used so the old files are still there, but not accessible to play….HOW DO I RESOLVE THIS ISSUE? I’m fairly certain you cannot revert to previous versions of iTunes if you are syncing with an iPhone. Once updated, I believe you are stuck. For more on such issues, try Cydia.com, as these issues are relevant for jailbreakers. Under “info” tab deselect “sync notes.” You’ll need to scroll down the page a bit to see this checkbox. Sync your iPhone– it should sync OK now. Now go back to iTunes and recheck “sync notes” if you want notes to be synced. No error message should appear if it works for you like it did for me. iam having this problem but i cant seem to find the file itoner.bundle can anyone please explain where it actually is ? 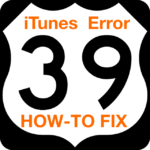 I’m also having this issue with an iPod classic, I read that the problem is related to the newly released iTunes 9.2 – I downloaded the week-old iTunes 9.2.1 to see if that fixed the problem and unfortunately not. Might try going back to iTunes 9 if I can’t find any other solution and I’ll let you know if that helps. Also for me it was itoner. I updated to 2.06 from Ambrosia website and it syncs again. And what do you do if you aren’t using iToner and don’t have Notes checked? I still get the message. Updating to the newest version of iToner seams to have worked. I’ll find out once my sync is complete. Uhhhh…I may be missing something, but if I uncheck notes sync, how do I sync my notes? Upgraded to iToner 2.0.6 and my syncing issues are gone!! I have the same sync error message with my Ipod since updating to 9.2 BUT I don’t have iToner installed (I’ve search all my drives) and obviously don’t have the info tab (as it is an Ipod) to try switching notes on/off. Brilliant. Removing itoner.bundle did the trick. My iPhone 3G running iOS 4 syncs like a charm and actually runs quite well. I can hold off on a 4G upgrade until the end of the year. Still can’t sync my iphone. Upgraded to new OS. Itunes 9.2. Freezes up with a error message when it gets to adding files: 2009 1020 103827 n4a. Can anyone help? hey what is the full location of the library folder in windows? i just cant seem to find it. That fixed my issue! It was the iToner.bundle Thanks so much! FYI: if you go to iToner’s website there is a software update that fixes this problem. MIKE – connect the iphone to your computer. In the left menu of iTunes, where your phone appears, CLICK to hilight the phone. The tabs appear in the main portion of the window. I cannot update my iTunes to version 9.2 as error occurs everytime I try to update it. updated my iPhone 3g to iOS4, updated iTunes to 9.2, and I don’t have iToner in my MacBook Pro. with this scenario, my iPhone still doesn’t show up in iTunes. any brilliant ideas on how to fix this? thank you! I was getting the message, but my phone was still syncing. I updated iToner, message went away and re-synced iToner. Still using iToner and nasty message went away. I’m still on iOS 3 BTW. I don’t have iToner, but have realised that in updating to iTunes 9.2 and iOS 4, all the sync settings in the info tab were reset to unchecked. Re-check the ones you want and add or re-sync. You still get the error box (must be a 9.2 bug, I’ve no duplicated file names), but everything syncs properly. I’m having a major problem with the recent Itunes 9.2 download. Today I went to download the 4.0 update for my Iphone and before I could download the 4.0 update Itunes required me to download the Itunes 9.2. While I was downloading the 9.2 update my Mac froze and crashed. No my Iphone has completely crashed. When I plug my iphone into my Mac a browser pops up that says “The Iphone cannot be used because it requires Itunes version 9.2 or later”. I have downloaded the 9.2 five times now and everytime i plug my iphone into my computer the same message pops up. If someone could help me with this problem I would really appreciate it. I have upgraded to the latest itunes and os 4 for my iphone. I cannot sync ringtones. I dont get an error message, my ringtones appear in itunes…. How can i get this fixed with out having to go back to os 3 for iphone. I got rid of the iToner bundle and still had the message. Unchecked the Sync Notes box and it worked . I don’t appear to have iToner on my machine (searched for it and can’t find it) and I don’t have notes syncing but I keep getting the sync error message when my iPhone is syncing regardless. I am having this issue with my iPod since upgrading this afternoon – it won’t sync, and before the upgrade to iTunes 9.2 I was getting an ‘unknown error (-48)’ message. I am also on Vista not a Mac. Any ideas? Thanks! The “uncheck notes sync” fix worked for me, also. Ok, searched another board. 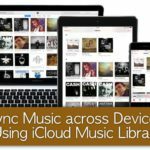 If you don’t have iToner and your “sync notes” was not and never was on… here’s what you do. Check Sync Notes and let it sync. Uncheck Sync Notes and let it sync. No error message. At least that’s what worked for me. Don’t have iToner, never have. Sync notes is not checked and never has been. I updated to the new iOS4 yesterday and now I get the message… weird thing is I think it’s syncing anyway. Any ideas on how to get rid of the error message when iToner and sync notes are NOT the problem? I just got iTunes 9.2 this afternoon, and I previously installed iToner. Surely enough this error came up endlessly when I tried to sync my iPhone. I called Apple and they had me remove the iToner Bundle, and along with it went my Ringtones. The note trick worked like a charm, thanks for posting. what if you have the same problem but with a windows7 machine? this has been bothering me for about a week now. If you launch iToner, you may have to prompt it to do an update (free, takes a few minutes). Then sync it to your phone again, and then re-sync my phone to itunes. worked great. I never would have guessed this was the problem. phew! Thanks for the help! Ok, what if you don’t have or even come anywhere near iToner and still have this problem? Thanks!The error is worry myself two week! I just opened iToner and it updated to the new version 2.0.5. I restarted it and iTunes and all is well now, sync & backup complete now I can finally install iOS4. Thanks! The “uncheck notes sync” fix worked for me. Confirmed that updating iToner resolves the issue. Glad I found your tip regarding the Library; I dumped the App last week but still had the problem. Just Trashed iToner from the Library. release today. 2 Thumbs Up!! I also was experiencing this problem. I haved removed the iTonersupport.bundle and ALSO quit and restarted iTunes before attempting a new sync and it worked. Thanks! All you need to do is install the iToner update – 2.05 – it will relaunch iTunes and everything should be fine. It’s not really necessary to get rid of the iToner app… just get the latest update (you’ll be prompted to download it when you start iToner). When the update installs it will prompt you to do a restart of iTunes (which it will do for you), and the sync problem is solved. I had three friends (including myself) with the same problem, and this solved it. If you already have the update, just running iToner one time should solve the problem. Worked like a charm once I removed iToner. I have this problem using a PC; any ideas or further details about how to remove those items? I had this same problem with the same error message. I downloaded and installed the iToner 2.05 update (free), did an iToner sync, and synced my iPhone 32gb 3gs in iTunes 9.2. Wow is right! Removed itoner an the sync was about 4x faster than normal! And no “cannot be synced.. duplicate file name…” error either. Thanks for the instructions. BTW I just had to restart iTunes to make this work not the whole computer, that was ambiguous in your instructions. After upgrading my iPhone 3G to iOS 4 golden master, I’ve had this problem. I thought it was iTunes 9.2 beta but version 9.2 final didn’t fix it. I wouldn’t have guessed iToner. Thanks. It may fix the problem to just use iToner once. Not sure if it’s a permanent fix, but I tried this with v. 2.0.5 and the message didn’t come up this time. Excellent! I have been plagued with both slow syncs with my iPad and, after updating to iTunes 9.2, with the iPhone syncing issue described above. Removing the iToner bundle has solved both problems. Thanks!